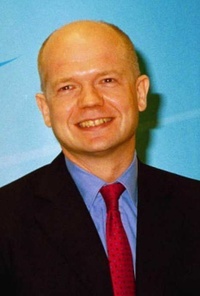 Last week you asked William Hague a number of questions. ConservativeHome selected ten of those questions and asked the Shadow Foreign Secretary for his answers. Voice from the South West: What made you decide after four years away from frontline politics to join the front bench again? Do you still harbour Prime Ministerial ambitions? In many ways I was reluctant to come back into frontline politics, but I decided that this next few years is the time when we can really get things together in the Conservative Party and win again. That being so, everyone who can help has something of a duty to do so, in whatever way or whatever position. I thought it would be exciting and productive to work with David Cameron, and that has indeed turned out to be the case. I have absolutely no ambition ever to be the leader again myself! Jon-Paul McEwan - Mr Hague I would like to know why the Conservative MEPs are being made to work with the European Peoples Party - European Democrats until the 2009 euro elections. Why don't you just leave the EPP-ED now? Do you think that Mr Cameron has broken his leadership election pledge to leave the EPP-ED asap, because I think that he has! David Cameron’s pledge was to leave the EPP-ED group and we will certainly be doing that, so have no doubt at all that his word will be kept. The main reason we did not leave this year was that our closest allies in the European Parliament, the Czech ODS, asked us to wait for them and create a new group at the time of the next elections. We think a group founded with them has the greatest chance of future success. It is also clear that the idea of creating the group in 2009 has won the vast majority support of MPs and MEPs, who saw it as the right way to proceed. After a short break for the parliamentary recess, ToryRadio in conjunction with ConservativeHome, is resuming its regular "Challenge the Chairman" slot which gives you the chance to put your questions to Francis Maude. Much has happened since the last questions were put to the Chairman. Should a former Labour candidate have made the A list top up? Do you think the new logo is a good move? If you have any questions on these or any subject, please leave them in the comments section below, or email [email protected]. Any questions for William Hague? 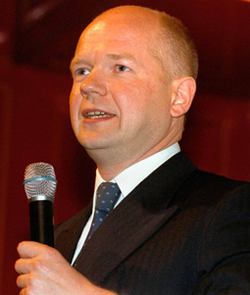 William Hague is currently Shadow Foreign Secretary and was Leader of the Conservative Party from 1997 until 2001. He was Welsh Secretary in John Major's administration. Mr Hague is currently working on a biography of William Wilberforce. His recent biography of 'William Pitt the Younger' was popularly acclaimed. Please use the thread below to pose questions for William Hague or email questions to [email protected]. The answers will appear next Friday 29th September.